Many of the participants particularly like the BIFF method of email and other communications when dealing with high conflict people (HCPs). This method continues to be helpful to individuals going through divorce with a high conflict spouse or partner, as it helps avoid responding to rudeness with rudeness. It also helps reasonable people avoid appearing to be high conflict people, as their emails do not contain over-reactions to problems. 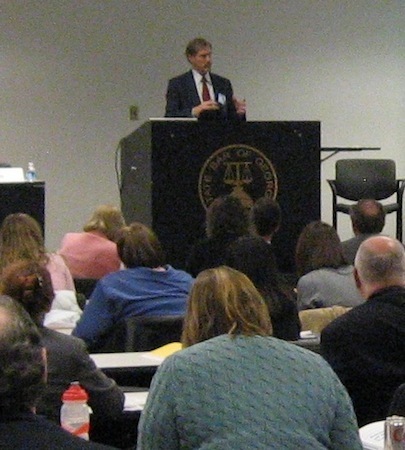 The AAML is in all states and a very experienced group of attorneys. I enjoyed speaking with them as a group, and also meeting and talking with many members before and after the presentation. We’re all learning how to deal with the increase in high conflict divorces these days.